For our 12th Tour, we will feature homes and gardens throughout Bexley - showcasing the variety of home styles. The houses and gardens reflect differing styles, architectures and decors, and showcase homes for different stages in our life. We will feature artists and musicians throughout the tour. Food trucks and water will be located at Home Base - Columbus School for Girls. Lunch options available locally. Look forward to a relaxing day in a beautiful setting. 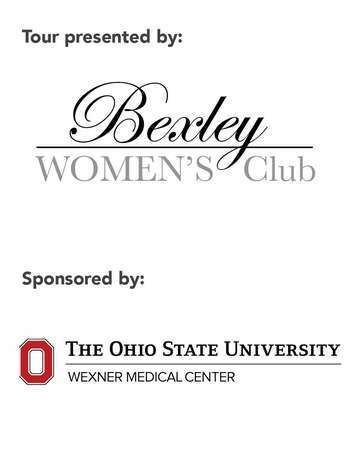 Proceeds Support the Bexley Women's Club mission—Community, Scholarship, and Social Service and help fund the BWC College Scholarship Program. Short term parking is available at CSG; multiple locations to park and take the BEAT shuttle bus. On-street auto and bike parking also provided. Please note: Inside photography, including cell phones, is strictly prohibited; many homes and gardens are not handicapped accessible; no strollers or pets permitted; no children under 12, except babes in arms.